Studies show that the real estate industry pays good salaries. And it also offers diverse and exciting careers. EXPO REAL, Europe's leading B2B trade fair for real estate and investments, is opening its doors to students to provide them with the possibility of visiting the exhibition and the conference program to obtain information about companies and opportunities as well as to establish contacts. 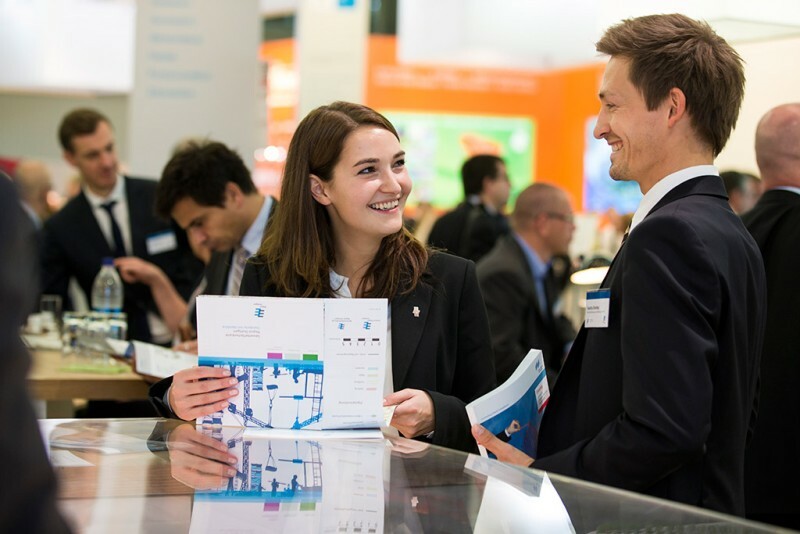 The CareerDay on the last trade fair day deals specifically with the questions of students and young professionals—overall an outstanding offer at a very reasonable price. Online registration in advance is required to get the comprehensive offer at the discounted student rate of 85 euros instead of the full-price. Then all doors to EXPO REAL are open to the future real estate professionals. The conference program of the CareerDay specifically illuminates job profiles in the real estate industry, paths into the profession and the experiences of international graduates. Another highlight is the awarding the gif Research Prize of the Gesellschaft für Immobilienwirtschaftliche Forschung e.V. The fact that this prestigious prize for outstanding scholarly work on real estate topics is awarded during the CareerDay once again emphasizes the value of the trade fair event for students and graduates. The 22 exhibiting companies in the CareerCorner are (in alphabetic order): Aigner Immobilien GmbH, APCOA Parking Holdings GmbH, apollo real estate GmbH & Co. KG, ARCADIS SSC Europe BV, BNP Paribas Real Estate GmbH, Bonava (formerly NCC Deutschland GmbH), CBRE GmbH, COMFORT Holding GmbH, CORPUS SIREO Asset Management Commercial GmbH, Engel & Völkers Commercial GmbH, Ernst & Young Wirtschaftsprüfungs-GmbH, Estama Gesellschaft für Real Estate Management mbH, Greif & Contzen Immobilien GmbH, HEICO Property Partners GmbH, IC Immobilien Holding AG, Jones Lang LaSalle GmbH, KGAL GmbH & Co. KG, Lührmann Deutschland GmbH & Co.KG, PATRIZIA Immobilien AG, PricewaterhouseCoopers AG, Savills Immobilien Beratungs-GmbH, and WPG Industria Bau- und Vermietungsgesellschaft mbH. The EXPO REAL CareerDay offers students a strong springboard into the real estate industry.